Thanks to HiShop.my, I first tried placenta drink in my life. 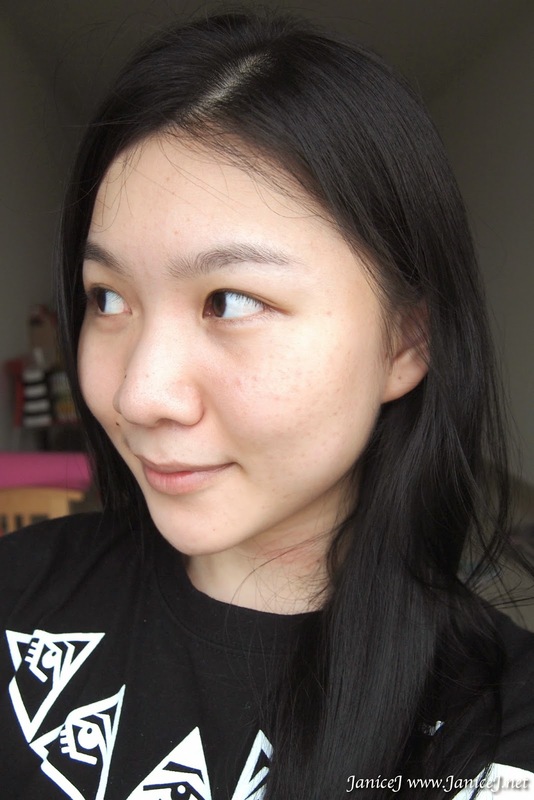 Due to the fear of ageing, I've been consuming collagen on and off for about a year now. You should have read a few of my reviews on collagen if you have been following my blog (thanks!). 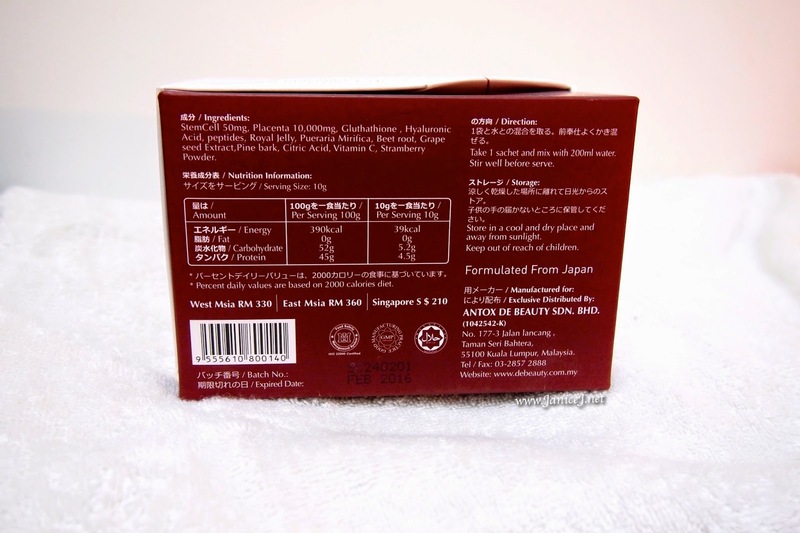 If you have not, read my review for Fine Co. Hyarulon and Collagen and Mega Alpha Alpha Fish Collagen 200 000mg. 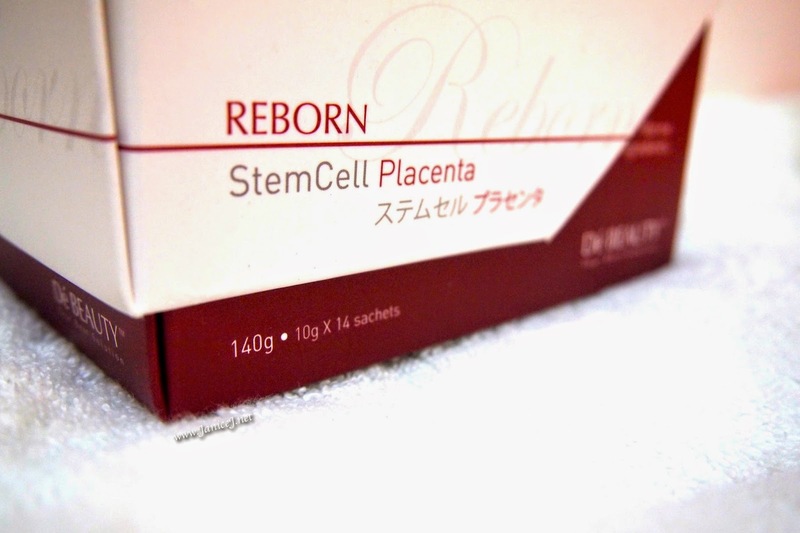 Reborn StemCell placenta is made out of marine ingredient. 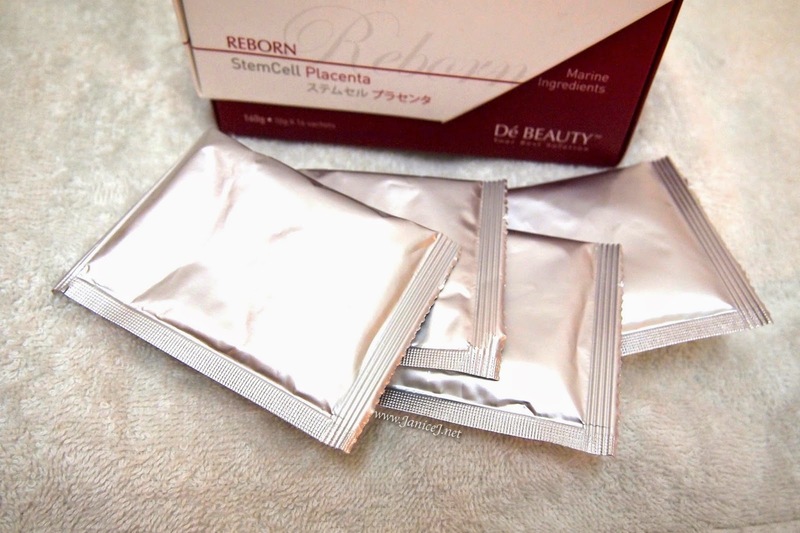 This is my first time hearing bout marine placenta but not the usual animal placenta. This sounds less scary than consuming the usual sheep or deer placenta. Other than the marine placenta from freezing up salmon ovarian, there are also active stem cell derived from natural algae. There are also other ingredients like the gluthathione, hyaluronic acid (for moisturising skin! ), peptides, royal jelly, pueraria mirifica (for a fuller bosom), beet root, grape seed extract (anti-oxidation), pine bark, citric acid, vitamin C and stramberry powder. 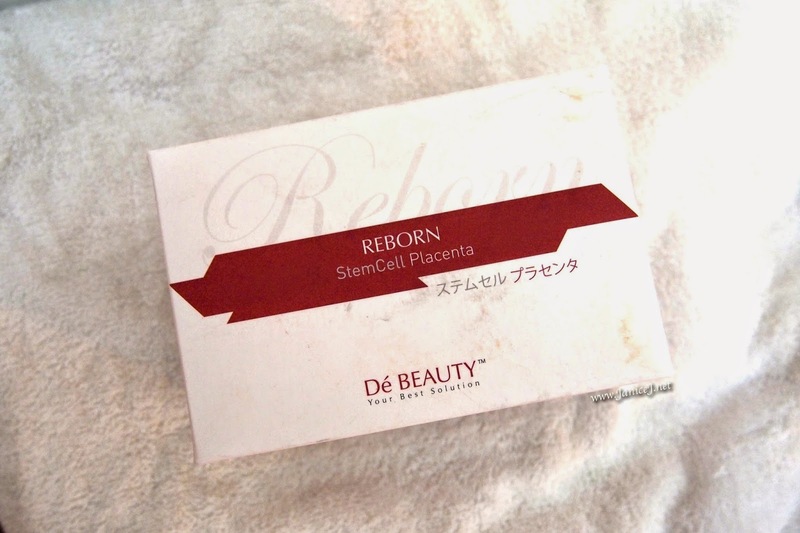 For more informations, you can read it from De Beauty Official Site. 10g individual packets of the products contain only 39kcal of energy packet with carbohydrate and protein. It is great for those who are busy and still, care about healthy diet. Unlike powdered collagen, these individual packed powder in sealed foil is far more fresh and convenient than collagen powder. At least they taste better than some collagen powder alone with water. 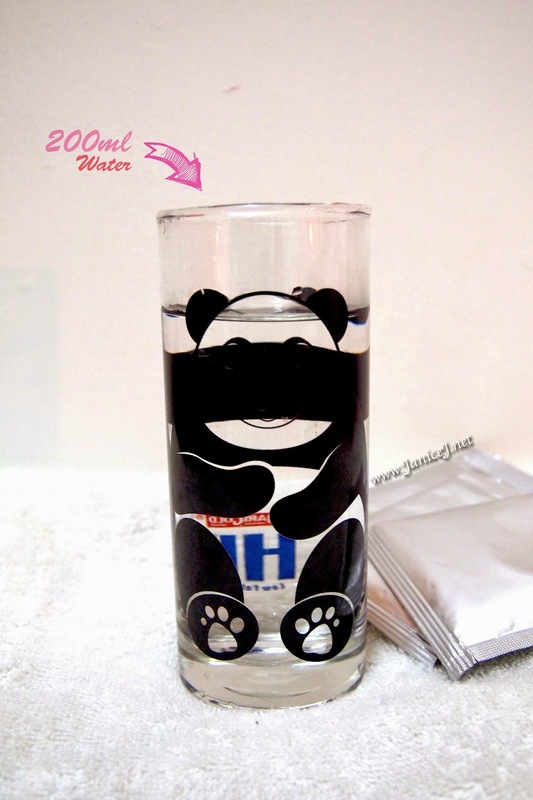 The product can be consume directly with plain water. It taste really like mixture of berries plus those plum powder. I am surprised that the taste is close and much similar to Juvanex 7 days detox program available on market. The product is in pale yellow powered form. It is fine and dissolve easily. 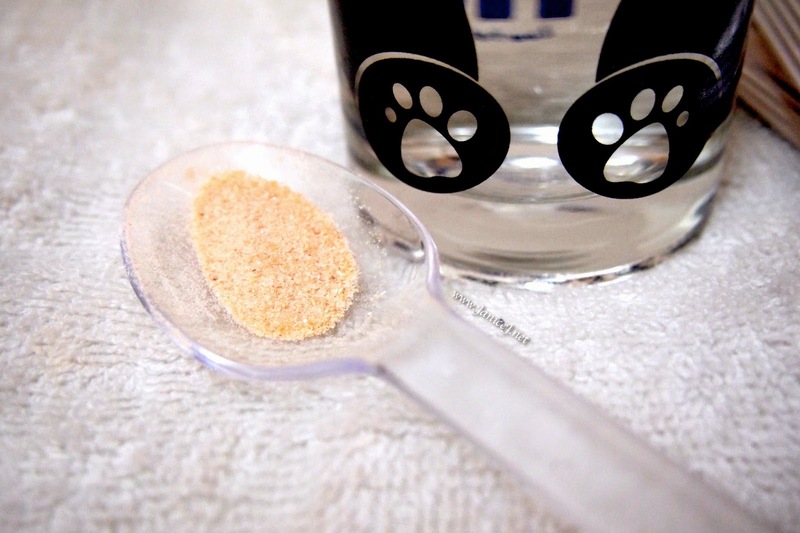 With a light stir, the powder dissolves into water. I do notice if you are too lazy to even stir it, add in water after the powder do help. 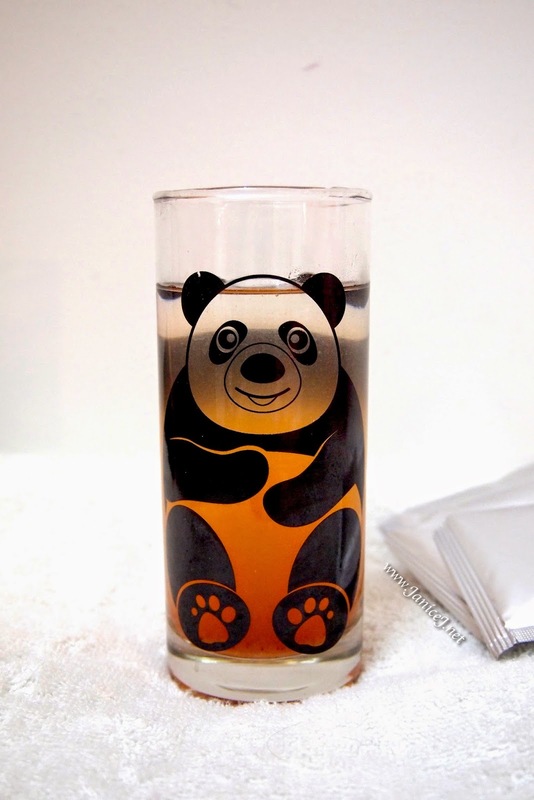 The drink is kind of cloudy(?) after stirring. 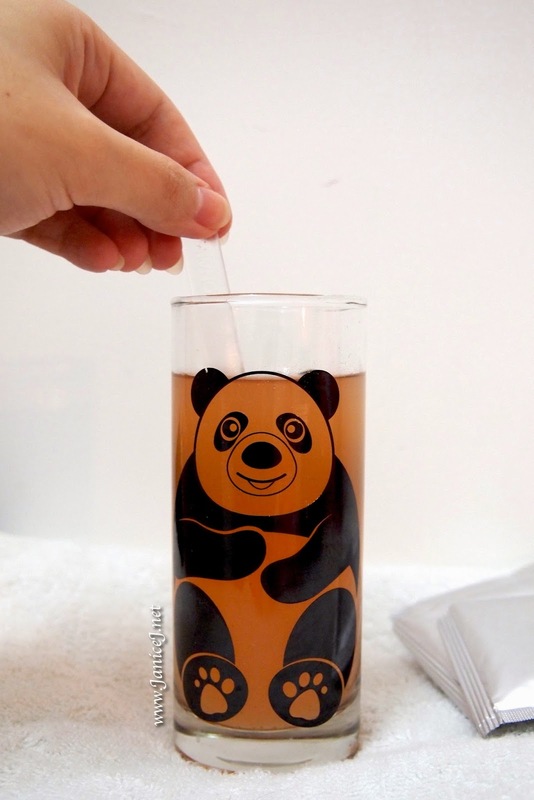 I would say to drink it asap after stirring or sediments will settle at the bottom of the drink. 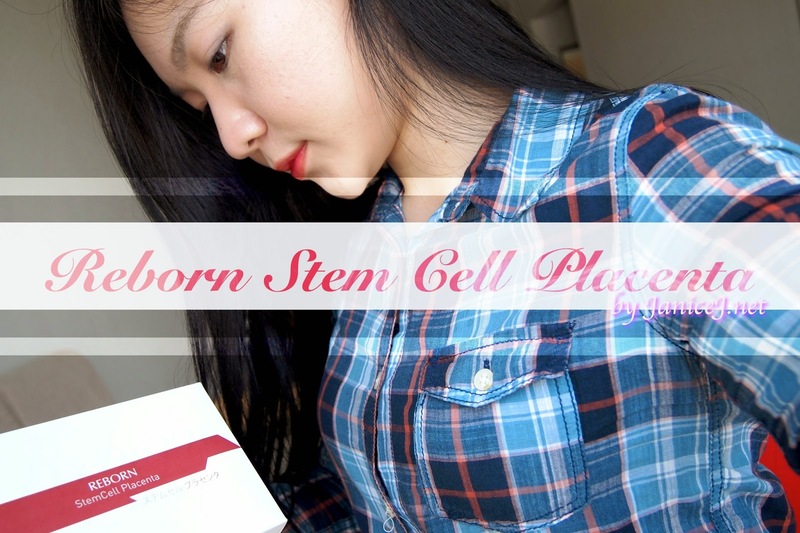 Let's see my seven days transformation with Reborn Stem Cell Placenta. 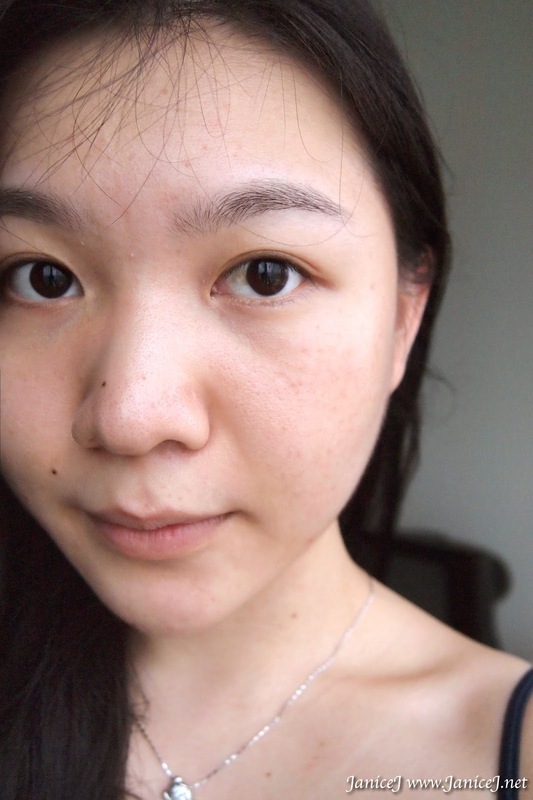 I took these photo just when my skin got into a bad bad condition. 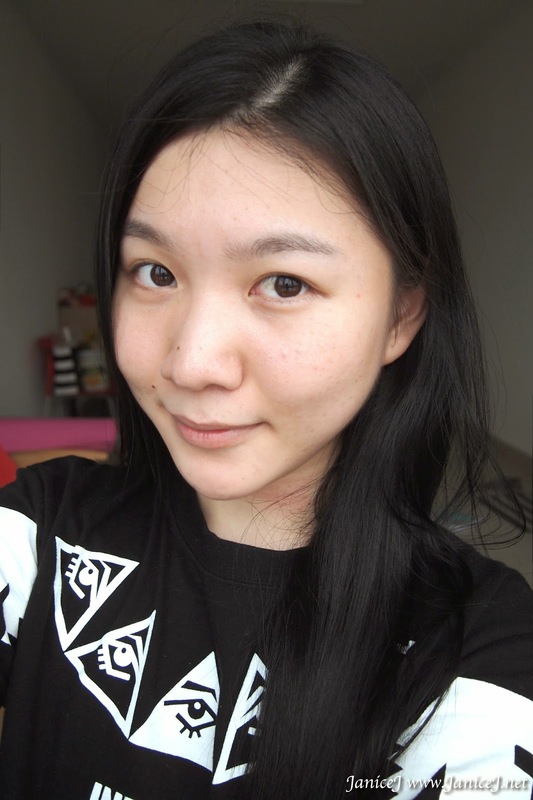 Look at the small zits on my left face (your right side). My skin texture is rough with small bumps. I consume the product daily at night before I sleep. At the end of seven days, this is the result. However, I found out that my makeup attached better and longer on my skin. Especially my foundation that usually goes into mess after a long day can now lasts me a day. 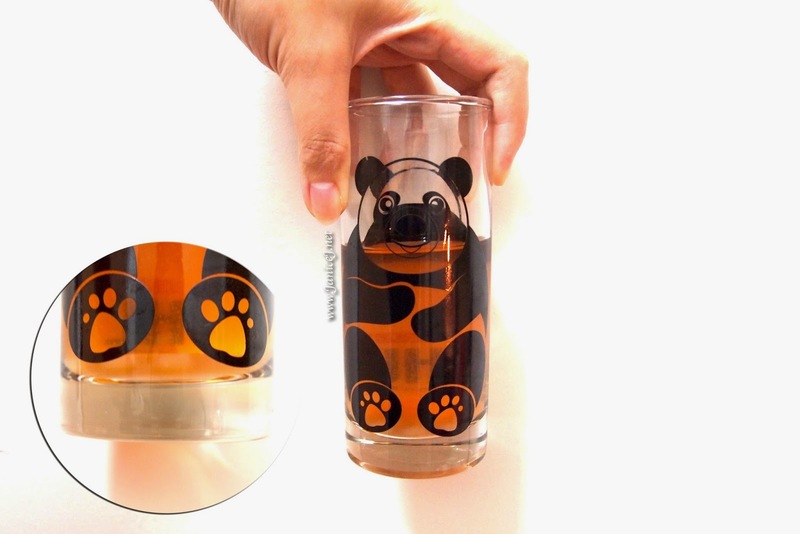 If you are interested in the product, you can get it from here. It is retailed for RM330 each containing 14satchets for two weeks supply. when you are checking out. Also, free shipping and free gifts from HiShop.my! I hope my review helps those who are struggling with ageing. Remember, you are never too old to fight ageing.